Imagine that you were a writer of a film script or some other work of fiction, and you were asked to create the character of the chief protagonist and hero of the piece, who is an F1 driver. You'd likely give him piercing blue eyes and blond hair. He'd be quiet, menacing, monosyllabic. He'd have an ice-cold, 'devil may care' persona, and exhibit a complete lack of melodrama and pretension. He'd never be one to whine, plead, and would be similarly underwhelmed by success as well. His answers to questions - be they from the media or from his own engineers - would be clipped, economical, sometimes contemptuous; his real focus would be on the core task at hand. His only interest would be in the racing, he'd have a healthy disdain for PR schmoozing, debriefs and other chores. He'd have a reputation as something of a party animal away from the track. His talent would be instinctive, he'd be a 'plug in and go' talent not needing to play himself in or build up to his ultimate lap time, understanding technical matters almost immediately. Most important of all he'd be bloody quick. 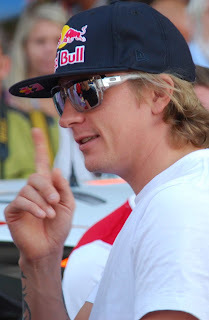 And he'd come from Finland and his name would be Kimi Raikkonen. There are many good things about F1 in 2012. The return of Kimi to where he belongs, at the sharp end of the F1 pack, has to be one of the best. The hard way the best way for Seb? 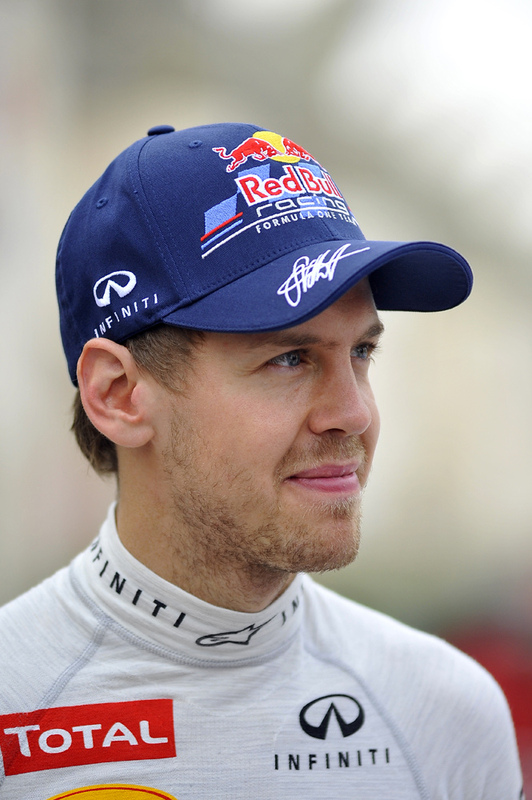 Sebastian Vettel may well be the most under-rated driver in F1. Odd thing to say I know, some two world championships, 26 wins and 35 poles later (and he's only just 25). And he's a guy if you needed to get a qualifying lap right to save your life, or to dominate a race from the front for the same end, it would surely be him you'd pick. And of course that's not all there is to Seb; the 'he can't race in the pack' notion these days is trashed several times a season, including on days when he hasn't had the best car. But there are yet those who remain to be convinced. But perhaps what happened in Abu Dhabi, with Seb being consigned to a start in the pit lane, was exactly what he needed in this regard. Perhaps by usually running clear at the front like a gazelle in recent times in what is by now an excellent set of wheels has led to some thinking (consciously or unconsciously) that Seb was having it a bit easy in his title charge. But Seb's run in Abu Dhabi showed graphically that he can get results even after being handed a huge helping of adversity. Yes, he also had helpings of luck on race day, including a couple of scrappy moments of contact that he was lucky to not be more impeded by, well-timed safety cars and cars clearing out of his way via various means. But his drive was consistent, rapid and determined and his overtaking (after the first safety car anyway) robust and usually immediate. And no matter what the circumstances, starting last and finishing third can never be sniffed at. The performance surely will have convinced a few of the previous doubters that Seb is a great deal more than a chauffeur benefitting from the prodigious RB8. 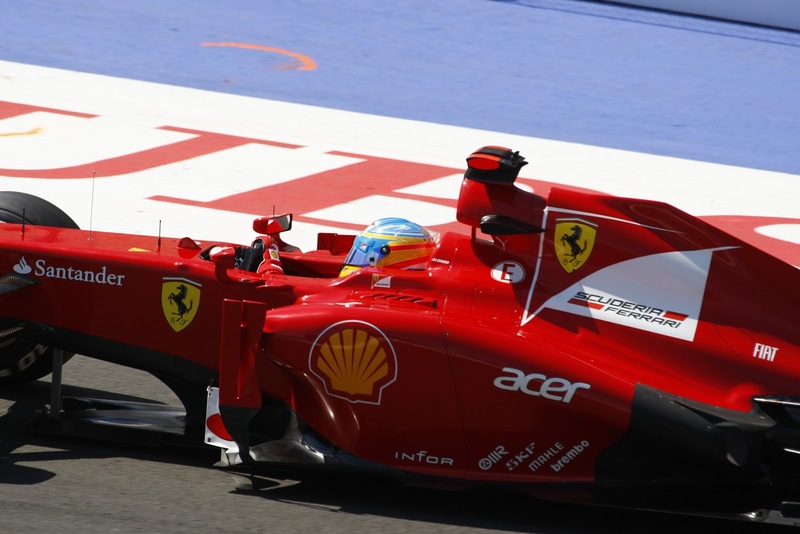 If Fernando Alonso wins the world championship this year it will be an astonishing achievement. But that doesn't mean that Sebastian Vettel would not be a very worthy world champion himself. Which brings us neatly on to the subject of Nando. In Abu Dhabi we were rather spoiled for excellent race day drives from ex-world champions, and Alonso's drive was right up there, just as they've been pretty much all season. Fernando Alonso - a victim of his own success? It was typical Nando: carrying the car absolutely as fast as it would go (and perhaps even faster), leaving apparently better cars behind and finishing in a place, just shy of the winner Raikkonen, that the red car in all probability had no right to be even near. Yet, for some reason, the reaction to Alonso's drive has been rather muted, raising little more than a collective shoulder shrug. For example, Autosport's driver ratings gave him 8/10 for it, the same rating as given to Daniel Ricciardo. There may be a number of reasons for this. Perhaps after the high praise he received in India a week ago there was always going to be a level of 'swing-back' in people's assessments. Perhaps the stellar stories of Kimi's comeback win and Seb's comeback race in Abu Dhabi took attention away from Alonso's drive. But perhaps Nando has also in a sense also become a victim of his own achievements, in that possibly a miracle is now the least we expect from him. So when he delivers his usual miracle it's considered as satisfactory rather than remarkable. So where do all the shenanigans in Abu Dhabi leave the corkscrew drivers' title fight? Seb now leads Nando by 10 points with two rounds remaining. It's not a huge margin, about four points in old money. But Seb retains all of the aces it has to be said, not only does he have the points lead he also retains the edge on pace, despite Ferrari firing everything they had onto its car seemingly prior to the last race. For Alonso to win the title you feel that one (or more) of three things must happen: he gets lucky such as Vettel failing to score, or scoring small, in one of the rounds for whatever reason, there is rain either in a remaining qualifying session or race, or - finally - Ferrari finds some pace to get on terms with the quickest car out there (currently the Red Bull), particularly in qualifying where the deficit appears largest (Gary Anderson's theory for this state of affairs is intriguing). To take the probability of each in turn, the first doesn't seem that likely, especially so in the case of Seb dropping a clanger, and is rather in the lap of the gods in any case. Though, contrary to the apparent belief of many, that Seb got a major helping of bad luck at Abu Dhabi doesn't make it any less likely something else will go wrong in the remaining rounds (though, on the other hand, a dose of adversity for Alonso could end his chances at a stroke). And Alonso is doing is formidable utmost to keep the pressure on. On adverse elements, again it's in the lap of the gods, but certainly Brazil has had its fair share of rain in the past, and it's not unheard of in Austin either. But it's the third point that Ferrari must focus its energies on. Given the Scuderia has had a whole season to do that and hasn't yet you'd be forgiven for thinking that another two weeks isn't going to make a difference. But that's the task that is before it. I'll end on a grumble. As we know, Sergio Perez was confirmed to replace Lewis Hamilton at McLaren from next year onwards some weeks ago. But on this deal has McLaren acted in haste without much opportunity to repent at leisure (given the 'multi-year' nature of the deal)? 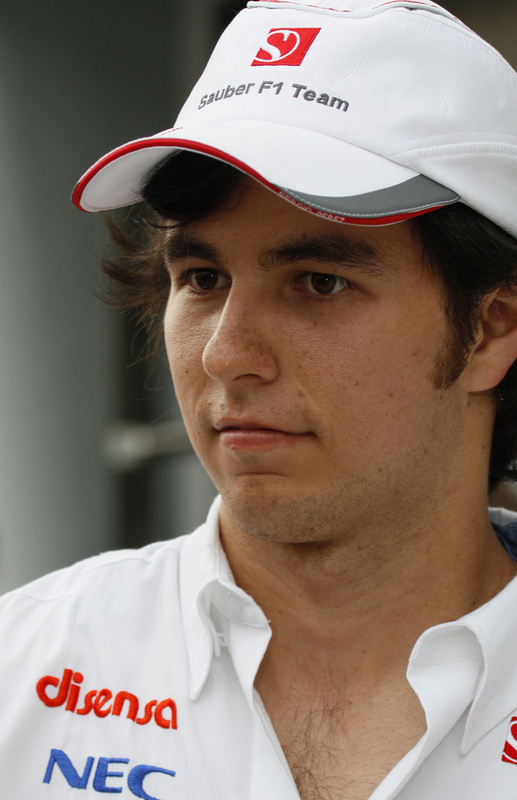 Sergio Perez - the right option? The Perez to McLaren move struck me as odd from the beginning. Of course, Perez has had three high profile podium runs this year, but it's not clear the extent that they owed to the Sauber C31's occasional peculiarly good touch on the Pirelli tyres rather than his own contribution. And his form elsewhere has been patchy. Before McLaren swooped rumours even circulated to the effect that Sauber wasn't happy with him. And in recent races his form has if anything deteriorated, featuring contact with other cars or off-track excursions in each of the last five rounds. And why the rush from McLaren? Most available drivers would crawl the length of the pit lane on broken glass for a McLaren drive, and presumably would therefore hold off on deals elsewhere for as long as it remained a possibility. Did McLaren's desire to get its announcement out before Mercedes's of the Lewis deal cloud other considerations? I know it sounds harsh, but the Perez move does have something of a hurried, back-of-an-envelope quality. Particularly as it coincided with the exaggerated praise Perez got after the Monza race. Of course, Perez is young and has time to improve, so he has opportunity to prove all the doubts to be misplaced. But at the very least all at McLaren would be forgiven for getting cold feet about its new charge. Indeed, Martin Whitmarsh has appeared to admit as much.